The main focus for this release has been improving the UX of Interactive Video. 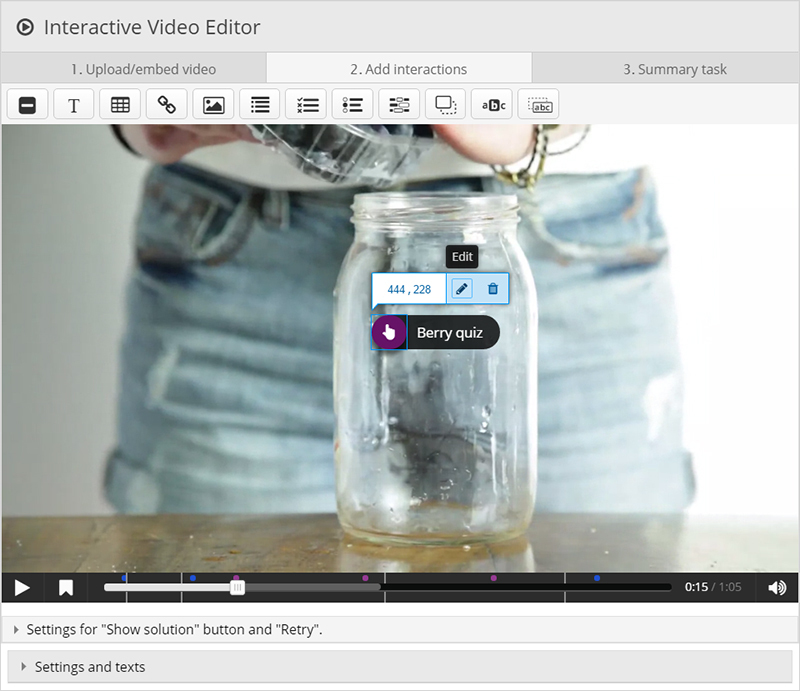 Interactive video is our most popular content type and now we have made it much easier to create great videos with interactivity. We have also optimized viewing for smaller screens, such as mobile phones. Below is an example where you'll be able to test your knowledge about Sushi. Until now, inserted content generally and questions specifically, may have looked misplaced inside their boxes. Especially buttons may have been positioned strangely in some scenarios. To make sure this isn’t a problem anymore we have made sure that all control buttons always stay vertically aligned in one row. We achieve this by having them automatically switch to icon mode if there isn’t room for all the labelled buttons. When doing this we have also rewritten big parts of the content types code to make sure that they have similar logic and the same HTLM and CSS structure. By doing this, we have also made it easier to add new features to all question types and easier for sites using H5P to apply their own styling to the different content types. To make it more intuitive for users to use the editor we have added contextual buttons for editing and deleting inserted elements. When creating Interactive Video many haven’t noticed the possibility to place content as posters directly on top of videos. Therefore, we have made this option more intuitive. 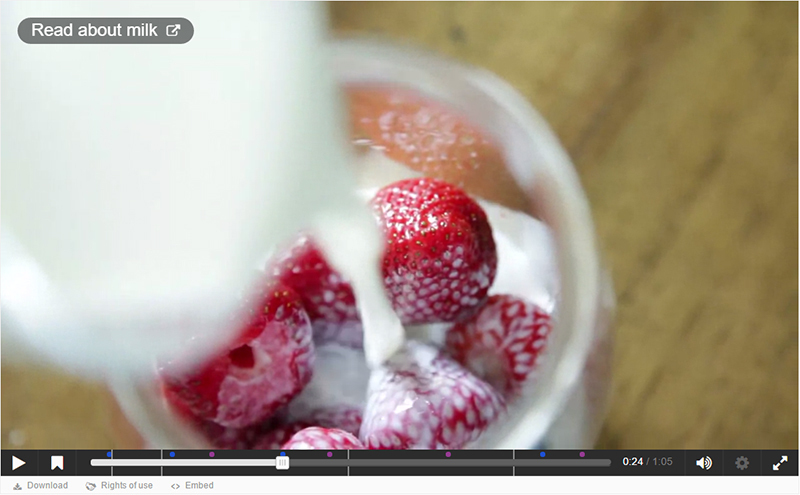 Now the end user won’t have to double click to visit links integrated into an Interactive Videos. The links are now placed directly on top of the video making them directly accessible. To make it easy to include interactive content as an integrated part of your Drupal page, as we are doing in this post, we have added shortcode support for Drupal. To learn how to enable shortcode for Drupal visit our Drupal setup page. This feature has been available in WordPress from the start. We've created a new content type called Accordion. It has a good WAI ARIA coverage making it easier to use for blind users with modern screen readers. Make sure your Drupal/Wordpress plugin is up to date and see the update instructions for updating your content types. Are you new to H5P? Get started here. The design and development job has been done by the H5P Team. The team consists of now seven people working full time to make H5P move forwards as quickly as possible. Outstanding achievement great work everyone.... long wait but worth every moment of it..
Wow, I really like all the improvements. Very well done. That should be possible, yes. Maybe this is a good place to start?